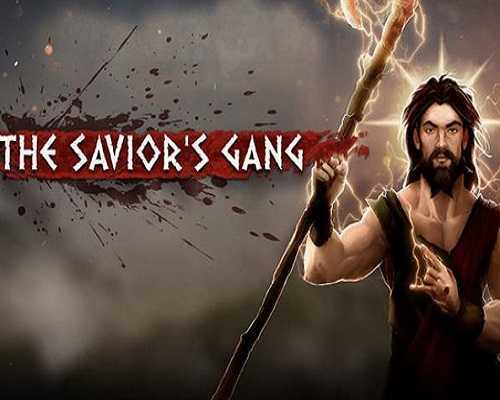 The Saviors Gang is an Adventure, Casual and Simulation game for PC published by Catness Game Studios in 2019. Safe your worshipers from dangers! This is a funny game where you are going to lead your worshipers to the safe lands you have promised. The player will have to guide his faithful through several dangers that could damage them in the most possible grotesque and cruel ways. These can be dismembered, crushed, burned, drowned, infected and skewered among many other calamities. The skill of each player will come into play to determine how many adepts finish each level alive. In The Savior’s Gang, the player controls The Savior, a powerful entity that is crucified and trapped between the world of mortals and heaven. This unfair death triggers the wrath of his father, an almighty pidgeon, which unleashes a series of traps, disasters and dangers all over the world. The Savior must negotiate with his Father to stop these catastrophes and save only his worshippers from all these evils and, try to get out of limbo and recover his power. The faithful will cross different levels, from the old fields of Jerusalem, to the very gates of hell, passing through high sacred mountains, dark caves, warm deserts and forests. In each of these locations there are different traps and difficulties of each level: strange gadgets, trees that fall, magma eruptions, fragile ice … At each level new followers will be found, and they will increase the group of survivors, increasing the chances of surviving, which in turn, making it difficult to manage a large group of people. 0 Comments ON " The Saviors Gang PC Game Free Download "